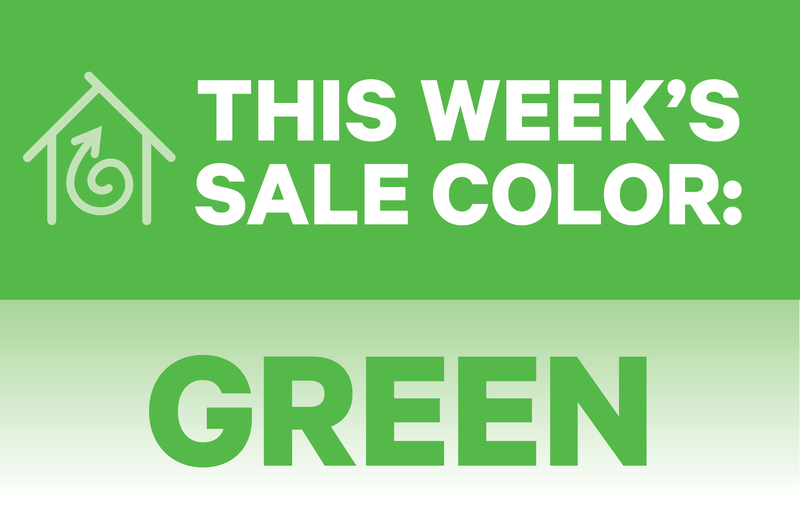 Anything with a green tag is half price! 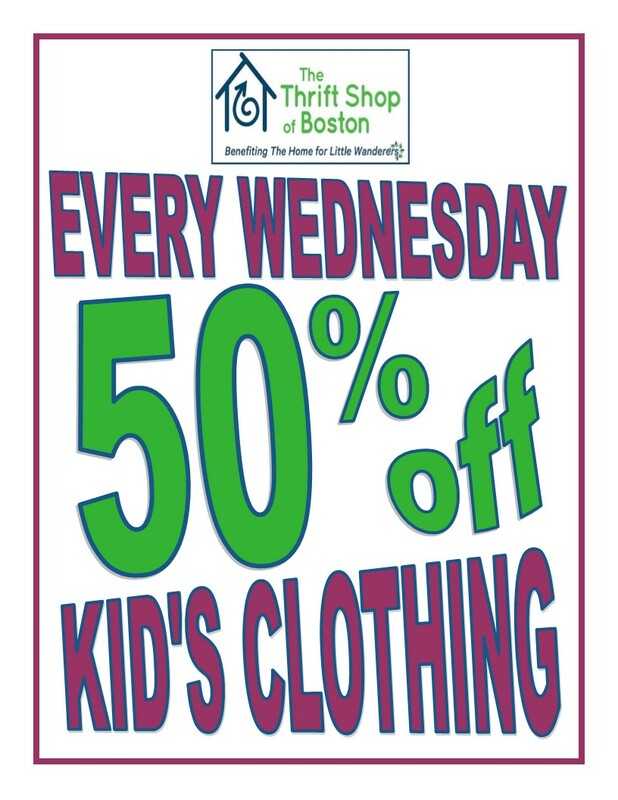 Every Wednesday – half price on children’s clothing and shoes! 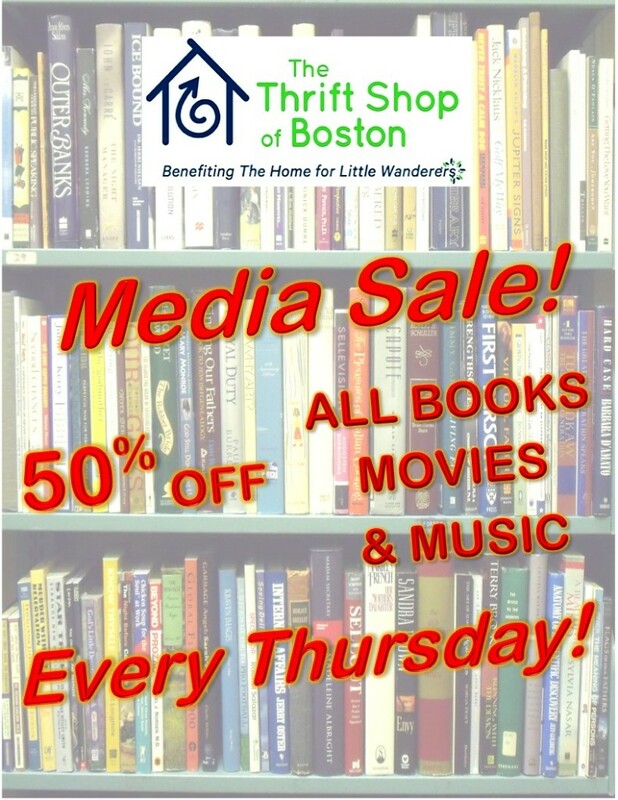 Every Thursday – 50% off all books, music and movies! The Thrift Shop donates $150,000 to The Home for Little Wanderers! New Auction at The Thrift Shop of Boston!